Solve your E-Commerce Challenges the Smart Way! James owns an online apparel store. He has a lot of loyal customers who swear by the quality of and the wide range of products he offers. The dynamic nature of E-Commerce today makes it difficult for merchants like James to keep a handle on their online businesses. Let’s take you through a busy day in James’ life, where he is facing some common E-Commerce challenges. James is slouched at his desk, reading tutorial after tutorial trying to figure out how to set up his new apparel collection onto his webstore. The web agency that had created the webstore quoted expensive fees for immediate updates, so James was left to tackle this on his own. Christina, his assistant, walks in with a distressed look on her face. Christina: A lot of customer queries are coming in on our Facebook page regarding the launch of our new collection. They want to know when it will be out. James: I’m working on it! It should be done by tonight. Christina: But that's exactly what we said two days ago. James: Tell them it will be up on our website by tonight. And apologize for the delay. James goes back to struggling with his E-Commerce tutorials. In today’s fast paced economy, online businesses need to be extremely customer-oriented and focused on delivering an excellent customer experience for every transaction. To achieve this, it is important for businesses to continually measure customer satisfaction and to find new ways to exceed their expectations on a consistent basis. Phone rings - James’ wife, Mary on the call. James: Hey. Can I call you back? I’m in the middle of something. Mary: Okay, sure. Just wanted to remind you about Bryan’s soccer game this evening. So, don't forget. James: Yeah I remember. Gotta go. Bye! James gets back to his computer. Christina walks in. She is in a hurry. Christina: Hey James, I just got a call from our marketing consultant. Christina: He has to finalize the strategy for the campaign today or he won’t be able to give us time until next month. James: But that's ridiculous! It’s essential for our launch. Ask him to reschedule for next week. James is now extremely irritated as he gets back to work, trying to figure out how to complete updating his product collection onto his webshop. Providing the best customer experience requires well-integrated systems and business processes, otherwise the customer’s online shopping experience will be negatively impacted due to mismatched implementation and inconsistencies in messaging - which is likely to happen when you’re an E-Commerce merchant who has to deal with multiple third-parties for different pieces of the puzzle. It is important to adopt a seamless and integrated approach which enables SME merchants to generate traffic and boost sales more effectively, by helping them to target the right audience and attract the right customers across all channels. James: I don’t want to be disturbed right now with anything. How do you expect me to complete this with so many distractions? Christina: I’m sorry, but this is urgent. There’s a customer on hold complaining that his payment is not going through on his mobile phone. James: But I spoke to our PSP last week. They promised to optimise their payment page for mobile devices. Christina: Well, it doesn’t seem like they have updated it. James: Just tell him to find a PC and apologize for the inconvenience. Christina goes back to the call. A minute later she informs James that the customer chose to abandon his transaction and said that he would just get his item somewhere else. James is very frustrated with the loss of another valuable customer. Consumers shopping online expect convenience and simplicity; they want merchants to make their purchases as easy as possible. Payment pages should be concise, clear, and user-friendly. With the significant growth in M-Commerce, optimizing the design of payment pages for mobile devices has become essential. Consumers should not struggle to view or use a payment page on their smartphone or tablet. Merchants and their PSPs should implement responsive design, i.e. fully dynamic payment skins that automatically detect the screen size of the device used by consumers and adjust their layout accordingly. Mary: Where in the world are you? Bryan is waiting for you. James: Oh God! Mary, I’m really sorry, but I’m stuck at work. Mary: But you promised! He has been looking at the clock every five minutes. James: I know sweetheart. I promise I’ll make it up to him sometime next week. Mary: Forget it. It’s always the same story with you. Phone rings - James’ friend, Mark on the call. Mark: Hey Jamie, just wanted to know where we’re meeting for a beer? James: I’m really sorry but I’ve got to take a rain check. It’s too chaotic at work today. James: I have been trying to setup my new product collection. So far I’m not having any luck, since I have to wrestle with the website without my web agency’s help. These vendors all work according to their own convenience. I’m not sure how to go about all this anymore… Anyway, what have you been up to? Mark: I took Sarah and the kids to the game and then we all had dinner together. James: I thought you had to launch your new webstore? How did you manage? Mark: I did - we just launched it yesterday. Ever since I partnered with Newgen Payments, I can spend more time with my family and focus on my core business. Mark: They are a startup based in Amsterdam and New Delhi. They provide merchants with managed services to help them compete with the large players in our E-Commerce industry. James: My marketing guy is off for a month, my customers are complaining about the website, I’m losing a lot of business and let’s not even start about my time commitments to Bryan and Mary. You sure Newgen can help? Mark: You can see for yourself. After I partnered with them, my sales went up by almost 30%. They designed a fully optimized site for me and power it with their own payment gateway, and basically handle the E-Commerce side of my business, which lets me focus on my operations. Mark: Nope, they offer all this at 1/4th of the market price. James: So, all this at one place? Mark: Yup. They provide an end-to-end solution with one point of contact for me. Just take a look at their website or contact them at info@newgenpayments.com. James: Thanks, man! I’m going to check it out right now! Do you find your situation similar to that of James? 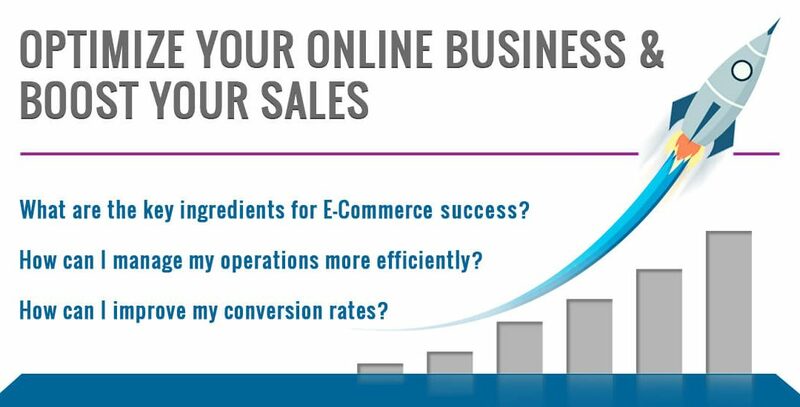 Is the fast-moving E-Commerce market posing similar challenges to you? Newgen is the solution for you. Our team consists of skilled professionals who have the experience and knowledge to make your online store look great, increase conversion rates and protect against fraudulent activities. We adopt a cohesive approach that focuses on increasing sales, cutting costs, optimizing conversions, preventing fraud, and opening new markets for E-Commerce merchants.